How do you tell a love story? Do you speak it? Paint it? Write it? 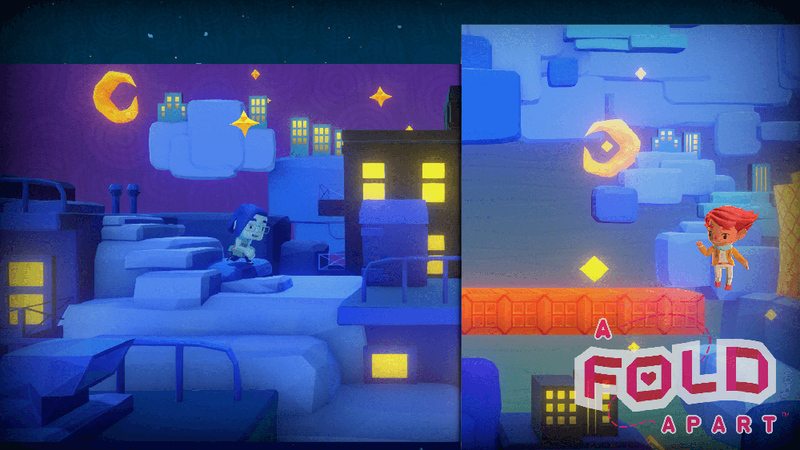 Lightning Rod Games is hoping for the latter with its new game A Fold Apart. Based on the personal life experience of one of its developers, the game tells the tale of two people, madly in love, but always seemingly stuck just out of reach of each other. Mixing modern digital touches (the characters cutely communicate via phone messages) with more traditional methods of communication (paper) it asks us to manipulate our world so that the lovers can reunite. The immediate visual of paper has an almost Pixar feel to game’s aesthetic, and its narrative tells that tale of heartfelt love with some tragedy, like if Up mixed with Inside Out. We can select our two lovers from several options — the developers are intentionally making the game inclusive, allowing many kinds of relationships to blossom as the game’s centerpiece — allowing players to make the experience closer to their own. The game itself revolves around that paper craft idea: in our demo, we manipulate the world by folding the screen, rolling one side over onto the other to create platforms or paths or to clear obstacles. If we need to get across a gap between buildings, we fold the paper over (holding down the button press) to make a platform. Further along in the demo, we’re given the ability to completely flip the screen, so that if one area looks impassible even with the initial fold, we can rotate to the back of the area and enter a sort of B-side, sometimes containing new platforms and other times even letting us enter new areas. The demo itself is short (about 5 minutes), but it gives an idea as to the general concept behind the game’s traversal. It’s certainly a novel approach to puzzle solving, a little like a mix of Paper Mario and Little Big Planet, and has a lot of promise if the puzzles can do justice to the concept over the long term. 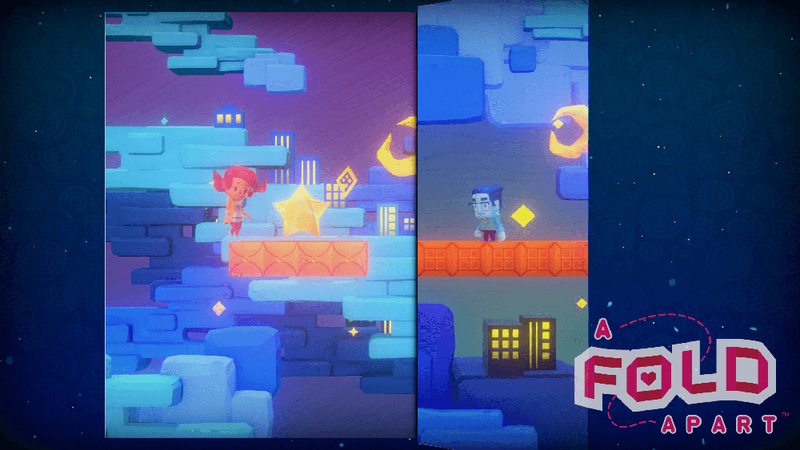 A Fold Apart arrives on Switch and PC this June, and other consoles to be announced for a later date.